Adhirasam is a Traditional South Indian sweet prepared on Diwali. 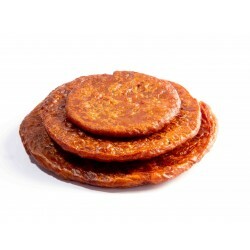 It is prepared using rice flour and jaggery. It is a Rich, Delicious, Hyginically prepared and is a perfect choice to your dears to make them Happier on Birthdays, Festivals and on all Occasion. I am so happy that I could buy adhirasam online. I haven't tasted since many years and now I did. Thanks a lot for bringing out these traditional sweets. VEry good tasting adhirasams. takes me back to my olden village days. I am well known as a sweet lover among my friend’s circle, some even ask my opinion about them. Once my friend asked me if he could get Ananda Bhavan’s Mohan Bogh delivered in his house in Mangalore. Since I am a regular shopper at OYC I remembered that you have the sweet from the above said brand and also offer delivery services all over India. I conveyed the message to my friend and he too availed your service. I just wanted to know if I am eligible for any discount for giving referrals. Due to my busy schedule I tend to forget important dates and events. This time too I forgot to wish my sister a happy birthday and remembered the date only in the afternoon. Though the damage had already been done, I did not want to worsen it further and hence sought the help of OYC and requested them to deliver her much loved Mohan Bogh in a beautifully wrapped box on the same day. Thank you OYC for saving me from huge embarrassment.